J. Roger (Antiques) Ltd was started in 1963 by Joan Roger, the mother of the current proprietor, Carolyn Bayley, and specializes in small, fine examples of mainly 18th-century English furniture, but also mirrors, porcelain, and related decorative objects. Joan Roger was one of the first women to become a member of the BADA (British Antique Dealers' Association), and Carolyn's aim has been to carry on the business with the same good judgement and attention to detail as practised by her late mother. She gains great satisfaction from furnishing the homes of a wide circle of clients and collectors. The mainstay of the business is Sheraton period furniture, whose elegant simplicity and fine design has a lasting appeal to the modern buyer, especially when this is combined with its small size, patination, and good colour. 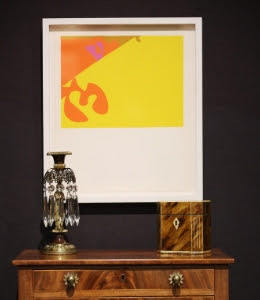 Carolyn believes that this approach contributes to J.Roger Antiques' continuing appeal at the antiques fairs where she exhibits; The BADA Fair in March, and Lapada Fair in September.